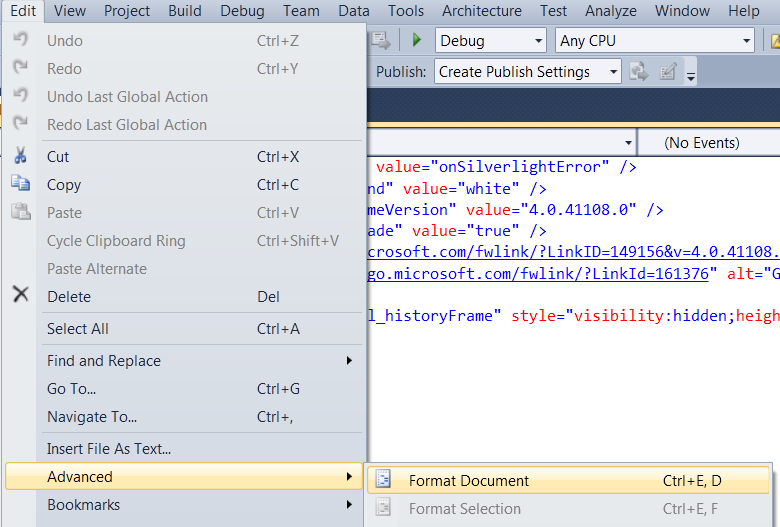 As a developer I am pleased with the new Visual Studio 2010 release. Lots of features were added and the editor looks more tight and solid than its predecessors. BI people still have to wait to taste the Visual Studio 2010 candy. SQL Server 2008 only ships the Business Intelligence Development Studio (BIDS) for Visual Studio 2008, which is understandable because Visual Studio 2010 didn’t exist when SQL Server 2008 was released. Enthusiastuc BI users who wanted to convert there existing reporting project to a Visual Studio 2010 project already reported (here and here) that the conversion failed. Business Intelligence Development Studio for Visual Studio 2010 is currently under consideration for future releases of SQL Server. So we can only hope that SQL Server 2008 R2, which was released on May 3 on MSDN will (probably?) be released at May 21, will ship BIDS 2010, although I just can’t find an official statement from Micrsosoft on that, so we have to wait until May. UPDATE: Just downloaded and installed the SQL Server 2008 R2 Business Intelligence Development Studio. Unfortunately it only works in Visual Studio 2008. Splash screens are beautiful, at least that’s wat Microsoft thinks about it. I must say, splash screens are just annoying and they slow down the startup of Visual Studio and other programs. But, there is a way to skip the splash screen part in Visual Studio. Most of the Visual Studio developers launch their favorite development platform using a shortcut. Now, just add /nosplash after the closing quotation mark of the shortcut reference. Posted on Tuesday, April 6th, 2010 at 12:02. Despite the rumors, HTC doesn’t provide us with the official release date of the Android 2.1 update for the HTC Hero in Benelux. We are waiting for months now for this update, but I think HTC is just postponing the release until the new HTC Desire will show up in Benelux, which should be there soon. Hartelijk dank voor Uw email. Mocht U in de toekomst nog vragen of opmerkingen hebben dan kan U bellen met 020 7157310 of ons een email sturen. Helaas hebben we tot op heden nog geen data doorgekregen voor de Benelux. Hetb beste wat u kan doen is onze website in de gaten te houden daar de update hier te vinden zal zijn. Need a .NET Excel library? Posted on Tuesday, March 30th, 2010 at 14:28. As a developer, you definitely need to read or manipulate Excel files at some point. The best known method is to make use of the Excel Interop library. Excel needs to be installed on your web server and the Excel process needs to run. and sometimes these processes just don’t close. Using the Interop library is a good solution for single user Windows applications. If you only need data from your Excel file, you can use OLEDB or just download a LINQ to Excel library. The last one uses OLEDB too, but using LINQ is so much more fun. Off course this system only works for well structured and simple tabular data. Another problem that pops out is the lack of a 64 bit OLEDB provider for Excel, so you must compile your code for 32 bit machines. Bringing in count all the disadvantages of the methods above, I started looking for a .NET library which does the job for me. The library needed to have the following requirements: read values and cell properties (background color,..) of both Excel 2007 and the old Excel format. For the old Excel format: NPOI. This CodePlex project is the .NET version of the POI Java project. This is a very mature product which offers a lot of possibilites. Support for the Open XML format would be a nice feature! For the Open XML Excel format I’ve chosen ExcelPackage, which can be found on CodePlex too. As we know the Open XML format is in fact a ZIP-package which includes separate XML definition files for styles and data. The standard version of the library only parses the data in the file, but if you look a little bit further, you will find an extended version which parses the styles.xml file too. Pay attention with this because the package includes some XML parsing bugs! Now you can combine these two libraries, using a common interface, plugging in the right implementation according to the Excel format you have to process. This is another fine example of the importance of CodePlex. The Microsoft open source project has a big added value for developers these days! Another useful shortcut for the Visual Studio editor is CTRL + G.
This key combination enables you to quickly navigate to a specific line in your code file. So there is no need to keep on scrolling until you reach the correct line! Posted on Friday, March 12th, 2010 at 10:56. It has been a while since my last post on this blog, but now I’m back. I will try to share some small Visual Studio tips on a regular basis, starting from now on. which you will find in the menu Edit -> Advanced -> Format document. Off course it is quicker to use the shortcut keys (Ctrl+E, D). This feature works for all the supported file formats in Visual Studio 2010. So if you messed up your XAML or ASP.NET indentation, Ctrl+E, D is your magic shortcut! Posted on Tuesday, December 8th, 2009 at 21:40.
so it is time to make a round-up of my best Android applications so far. Android Market contains about 18000 applications now. This application is just a simple barcode scanner, it scans a lot of barcode types, including QR-codes (which appear in this post). These codes can contain a lot of info, mostly URL’s. You find them more and more in advertising campaigns. This application can also be integrated in other applications, to pass barcode values to them. The interface is simple and user friendly, enabling you to quickly scan your barcodes. This application enables you to identify the music that is played in your environment. The iPhone version of this application was already a success, now there is an Android version of this amazing app. On the iPhone, you have to pay for it, but the Android version is still free. You can store the recognized songs as “tags” for later use. Play movies and music files on your pc. Control the desktop’s mouse with your Android phone’s touchscreen. Control keyboard input with your phone’s touch keyboard. All you have to do is install the Gmote Server on your pc and add your favourite music or movie folders. In the settings of the server application, you specify a password, which has to be used on the phone application. The good thing about the application is that it uses Wifi to connect to Gmote server, so you can control your pc from a very long distance. There are already a lot of Twitter applications in Android market, but the big killer app is not there yet, if you asked me. For the moment, I am using Swift om my HTC Hero. The UI could be better, but the application offers the functionality I expect from a Twitter client and above all: it works very smoothly. You can scroll endlessly through your Twitter timeline, but also the “Jump to now” feature is interesting. Notifications of tweets, mentions and direct messages can be configured easily. You can also look up profiles and search on Twitter. The application enables you to save your Twitter searches. It is possible to add images and videos to your post, choosing the upload service fits best. The application contains its own built-in browser, so you can navigate fast from links in tweets and back. A File Explorer can’t be missed on an Android phone. ES File Explorer enables you to explore all folders on your phone’s sd card and you can open, copy and delete files. The big difference with the most other applications is that you can also explore Windows shares with this one. It is also possible to copy files between Windows shares and the sd card. Posted on Thursday, November 19th, 2009 at 20:48. After being for the first time at a Micrsoft TechEd event, I’m home again and it is time for some kind of report. It must be one of the biggest cities in Europe and I must say I was impressed. 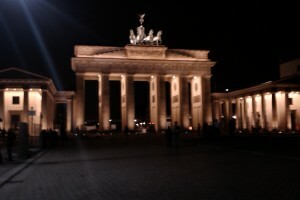 I have tried to visit a lot of things during my week in Berlin, but I didn’t manage to view them all. Being there at the festival of the fall of the Berlin wall was really exciting, although my expectations for the celebrations were bigger. because I saw more sushi and other exotic food then the typical German food. Berlin is a world city! it is clear that Microsoft invests a lot in Silverlight and we haven’t seen the end of the possibilities in this technology. Microsoft will now deliver their Team Foundation Server 2010 directly in Team System 2010 for only $500. Team System 2010 will be a lot more than just a source control tool, also project management and agile development will be integrated well in the new environment. Sharepoint 2010: Although I didn’t attend sessions on Sharepoint, this technology just seems to be integrated into a whole bunch of systems. I think Sharepoint will definitely increase its popularity. Agile development: VS Team System 2010 now better supports agile development, a lot of companies may finally put a step into this development technique. ASP.NET (MVC): Not only Silverlight, but also ASP.NET stays important for Microsoft. The line between “regular” ASP.NET and ASP.NET MVC seems thinner. Donald Farmer: The BI-guy from Microsoft is just too funny. Stephen Walther: His ASP.NET talks were really clear and interesting. Tim Heuer: Another Silverlight guy, really interesting talks! Shawn Wildermuth: It must be said, I’ve seen a lot of Silverlight talks, but the sessions from Shawn were fun. The New Dynamics of Business Intelligence: bringing boring BI stuff like this, I think not a lot of people can do it. Tips and Tricks for Building High Performance Web Applications and Sites: really interesting session on general performance of websites. Can You Keep a Secret? The Biggest Little-Known Features in Microsoft Silverlight: a lot of interesting features I’ve never heard of. What’s New in Microsoft ASP.NET Model-View-Controller: clear explanation of the new features in MVC. 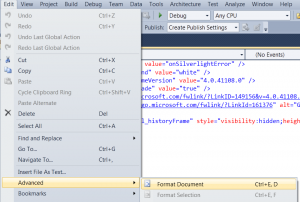 The Windows Azure Platform: When and Why to use it? : just a general approach to Windows Azure. The organization of the event was pretty good, I have never had the feeling that more than 7000 people were gathered there. Some really great sessions and ditto speakers. Networking possibilities were great, with special thanks to Microsoft Belgium for their community drink. To much focus on IT pros: the keynote, a lot of the exhibition booths and more than half of the sessions were for IT pros. Maybe Microsoft should consider separate events again next year? Posted on Thursday, November 19th, 2009 at 17:55. The last day on Teched Europe was a Silverlight day! In Silverlight the browser stack is used for networking by default, although it is also possible to use the client stack and bypass the browser. If something goes wrong in a SOAP-service: a 404 not found error will appear when using the HTTP stack. When using the client stack the error you sent from your SOAP-service is sent directly to your Silverlight client. A FrameRateCounter is included to see the memory consumption of your GPU. Use BitmapCache.RenderAtScale to make your GPU render a vector image. Analytics class to know your CPU usage. Not all the features from this sessions are mentioned, but you can also download the examples from his site. This was also a sessions with lot of demos, so not much to summarize. The Model View ViewModel pattern is already known by a lot of people. Shawn explained how to use it in Silverlight applications. The very last session for me on Teched 09, presented by Katrien De Graeve! The big Silverlight guys gathered to give answers. The biggest problem seemed that not all people are able to install the Silverlight browser plug-in and Flash has a big head start for this. Why not use Ajax instead of Silverlight? Ajax is very hard to manage. Flash gives more power to the designers, Silverlight gives more power to the developers. A round-up of my TechEd adventure will appear soon. Planning holidays is now included. So it is easy for PM’s to reorganize items. The interface to organize projects is more flexible. Better support for agile projects. A dashboard in sharepoint can be created. A process template editor is included. Again a session from Stephen Walther, so I switched to this one. ASP.NET Ajax is now called Microsoft Ajax because Microsoft want to point out that it is not only coupled to ASP.NET. Microsoft has a lot of servers all over the world, so the one that is closest to the customer can be picked then. It includes a rich set of server side controls. Client side Data Access: 2-way data binding! Client Script Loader: auto loads all required scripts and combine them, even on demand loading is supported. This must be the most bad session I’ve seen on TechEd. Christophe Schuster wants to show how they make websites in his company. They drop a lot of tools and I don’t know if it is fun to create websites in that company. The only positive thing I remember from this, is that they involve their customers every week. As a developer you should create custom controls that also render at design time. You can add attributes to improve the look and feel in Blend. The desgn assembly can be put in a separate dll, which can be excluded when the application is deployed. He also explains behaviors in Silverlight. Jeff Prosise has given a lot of cool Silverlight demos, all examples from this and other TechEd sessions can be downloaded from this site. He developed a Page turn framework, which is really looking great! The WritableBitmap class is a very usefull class to transform XAML into bitmaps. The maginifier app he showed was also very cool! This session really made me feel stupid. The speaker just throws a lot of code at his public, without some time to think about it. No wonder, that there were no questions at the end of this 400 session!